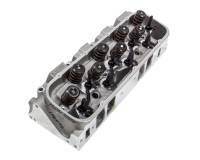 BRODIX Aluminum Cylinder Heads, Over 40 Years of Innovative Cylinder Head Technology. Brodix Stainless Steel Valves are available in a variety of configurations. Check out the Recently Listed Engine Finishing Kits. 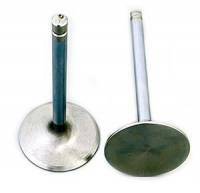 Check out the Recently Listed Engine Top End Kits. 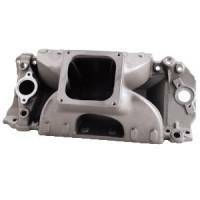 Check out the Recently Listed Intake Manifold Components. Pit Stop USA is The Online Motorsports Superstore! We feature Intake Manifold Gaskets for Small Block Chevy at low everyday prices. Check out the Recently Listed Intake Manifolds. Pit Stop USA is The Online Motorsports Superstore! We feature SB Chevy Header Gaskets at low everyday prices. Pit Stop USA is The Online Motorsports Superstore! We feature Stud Girdles at low everyday prices. Pit Stop USA is The Online Motorsports Superstore! 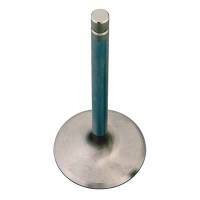 We feature Valve Cover Breather Tubes at low everyday prices. Check out the Recently Listed Valve Cover Gaskets. Pit Stop USA is The Online Motorsports Superstore! 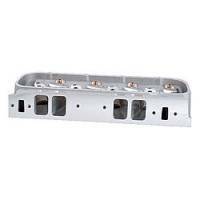 We feature Valve Cover Gaskets for Small Block Chevy at low everyday prices. Oversized / OverweightItem. Ships from Michigan. Pit Stop USA is The Online Motorsports Superstore! It remains the foremost goal of BRODIX Inc. to develop the highest quality, most innovative and dependable products. The ability to make close tolerance, high strength castings has been the benchmark of BRODIX. BRODIX started with a very basic 23 Degree small block chevy head. Subsequent development led to numerous versions and designs. In 1987, BRODIX developed the BRODIX -12 15A valve angle cylinder head that eventually proved to be a versatile head for sprint cars and several other applications. Over the years there have been other valve angles, valve centerlines, and several different port designs and shapes. Today the BRODIX line up ranges from the revolutionary IK 200 heads to all out raised port small block heads. There is an equal spaced exhaust port version, the "BD" Series, which is a total redesign of the small block Chevy. For the last ten years, BRODIX has produced "spec" heads, which are manufactured to an exact specification for different racing associations. BRODIX produces a large line of High Velocity intake manifolds for small and big block Chevy engines. These manifolds are known best for their "out-of-the-box" performance. Since 1979, BRODIX has enjoyed many successes over the years in every form of auto racing. Many, many records, championships, and titles have been won with BRODIX products. From innovative design to precision manufacturing... BRODIX is serious about quality and workmanship at every step of the process. 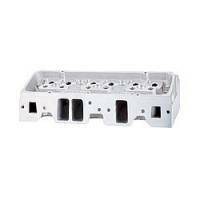 BRODIX manufactures and sells more aftermarket aluminum cylinder heads than anyone else in the business. No matter how large or small your racing operation is, they are glad to be a part of it. We feature BRODIX Track 1 Cylinder Heads, BRODIX -11X Cylinder Heads, BRODIX -18 SP X Cylinder Heads, BRODIX -16 Cylinder Heads, BRODIX HV1000 Intake Manifolds, BRODIX HV1003 Intake Manifolds, BRODIX HV1011 Intake Manifolds and BRODIX HV1800 Intake Manifolds at low everyday prices!